Which Coconut Water is Healthiest? I love coconut water! When I’m traveling in the tropics, there is nothing better than drinking water straight from a coconut. Mother nature designed the perfect vessel for a drink that is so refreshing, slightly sweet, and keeps you hydrated in hot climates. You’ve probably heard that coconut water makes an excellent hydrating drink that replenishes electrolytes and can replace nasty chemical-filled Gatorade and Powerade – but there really is more to it than that. How do you buy the healthiest coconut water and avoid the worst? That being said, I don’t want you to think it’s okay to pick up just any coconut water off of the shelf. Packaged coconut water is really flooding into the market recently. You can find it in bottles, cartons or powdered, frozen, flavored, carbonated, and sweetened. With all these choices it can be confusing and difficult to know if you are choosing the best one. It usually costs at least $3 bucks a bottle, so it’s not exactly affordable- and if I’m going to spend my hard earned money on some, I make sure it’s worth it! Primarily, I look for coconut water that is the least processed and still has the majority of its nutrients intact. This is always going to be directly from a fresh coconut – but, of course that’s not always available. If you haven’t already heard, Pepsico and Coca-Cola have their own versions of coconut water – (O.N.E., Zico, Naked) – and you can only imagine what the corporations have done to it. Using a concentrate instead of fresh juice: Some coconut water companies get away with saying their drinks contain “100% Coconut Water” that’s “All Natural” even though it’s made from a reconstituted concentrate. Just like other juices in the store, they heat fresh coconut water and reduce it to a syrup. It’s cheaper for them to import this coconut water syrup, which they later add water prior to packaging. Any juice that has been heated to this extent loses a significant amount of its nutrients and its beneficial enzymes are denatured (i.e. the enzymes don’t work anymore). Taking water from mature coconuts: This is a biggie. Young coconuts on the tree are usually green with an abundance of water in the center that is full of nutrients. Anyone that drinks coconut water straight from a coconut is drinking out of one of these young coconuts. As they begin to age, the nutrients in the water begin to seep into the meat of the coconut, and the water becomes less nutritious. It’s essentially watered-down. This also happens when young coconuts are picked and allowed to lie on the ground in the sun, for an extended period of time. While older “mature” coconuts might be used to make coconut oil, coconut milk and other coconut products, the coconut water from older coconuts is often discarded because it’s lacking nutrients and doesn’t taste the same. As the popularity in coconut water spiked recently, companies realized that they could buy up the water from mature coconuts and could get it cheaper than young coconut water. This is why it’s important to drink young coconut water and not get scammed into drinking the watered-down and less nutritious version. Adding “natural flavors” or sweeteners: Young coconut water is refreshing and sweet, so there is absolutely no need to flavor or sweeten it – unless you are trying to hide something. Guess what happens when they use mature coconuts for their water? It tastes acidic, so they mask this taste with natural flavors or sweeten it up with sugars. I’ve heard that some companies use a centrifuge system to remove the acidic taste, but it’s a safe assumption that if you see a plain coconut water on the shelf with any natural flavors or sweeteners added it is from mature coconuts and not worth your money. Pasteurizing it with heat: Coconut water is very delicate, naturally perishable, and should be kept cold. Have you ever stopped to wonder why most bottled and boxed coconut waters on the shelves aren’t in the refrigerated section? I recently checked out one of these bottles and noticed it didn’t expire for 2 years! This is because most coconut water at the store is heat pasteurized, which literally means that it’s been cooked to a very high temperature to kill bacteria and extend its shelf life. It has been shown that heat also destroys some of the vitamins, minerals, and phytonutrients and also denatures enzymes – stripping its benefits and much of its flavor. If coconut water is from concentrate, this would be the second time it’s heated. Obviously, your best bet is to seek out and find unpasteurized raw coconut water. This can be hard to find, but there is another way to kill bacteria while keeping the nutrients intact: HPP (high pressure processing). Without using heat, HPP is best way to preserve the goodness in coconut water, while extending its shelf life a little to make it more available commercially. Dipping whole coconuts in formaldehyde or sodium metabisulphite: It’s been reported that some non-organic coconuts may be preserved for transport to the U.S. by dipping them in chemicals, including formaldehyde a known carcinogen. This leads to the possibility that these chemicals seep into the coconut meat and poisons the water. Some of my favorite organic cafes avoid this by getting frozen coconut water shipped directly to them. We called up several of the most popular coconut water companies and asked where they source their coconuts (young vs. mature), if they dip them in chemicals, how they pasteurize them, and about additives and preservatives that they may use. We got a variety of responses, and it’s almost surprising to me how much some of these companies have screwed up something as basic as coconut water. I found several brands to avoid, because they are so heavily processed that the final product barely resembles natural coconut water. Naked Juice Coconut Water – Although it’s not from concentrate, Naked told me that they use “mature” coconut water that is flash pasteurized with heat. The plain variety doesn’t have any additives, but all of the flavored ones have added natural flavors. This is also a Pepsico brand – a company that spent over $4 Million dollars to fight GMO labels – so they aren’t getting any of my business. O.N.E. Coconut Water – This is another Pepsico brand that is flash pasteurized with heat. The flavored waters “with a Splash of Fruit Juice” contain natural flavors and “sugar” as an ingredient. As it doesn’t say “cane sugar” on the label, this could very well be from GMO sugar beets. “the exact source of the sugar in our coconut water cannot be confirmed because we source our ingredients from around the world and that information is not available at this time. Please know that all of our products comply with all applicable food laws and labeling requirements. O.N.E. Coconut Water relies on the regulatory agencies charged with safeguarding our food supply when sourcing ingredients for our products”. They are relying on the FDA’s regulations to protect us, although the FDA themselves say that the manufacturer is responsible for ensuring the safety of the ingredients used in their products, including GMOs. Zico – They sell two entirely different coconut waters depending on which packaging you choose. The waters in the bottles are made from concentrate and are a “blend of Asian coconuts” with natural flavors added. On the other hand, the ones in the tetra-pak cartons are not made from concentrate, have no additives, and contain only Thai coconut water that is packaged in Thailand. A bit confusing, isn’t it? While the tetra-paks (boxed) seem like a good choice, they use “Ultra High Temperature Pasteurization” to give it a long shelf life. This means it’s heated well above boiling point to 280 degrees Fahrenheit, which “kills everything” according to Scientific American, including beneficial nutrients. Plus, in case you didn’t hear the news, they were recently acquired by Coca-Cola – a big supporter of GMOs who have spent over 3.2 million to prevent GMO labeling. CocoZona – We called and emailed them on several occasions, and they never replied to any of our questions – not even a peep! I always find it alarming when a company refuses to stand behind their product and isn’t transparent about their practices, especially since some companies have been caught lying about what’s really in the bottle. So, at this point, we know little more than what’s printed on the bottle of CocoZona, and the ingredient list reveals that it is made from concentrate. That’s enough reason to stay away from it. Vita Coco – Don’t be fooled by all of those celebrity endorsements! Their waters are not made from concentrate, but they are all pasteurized with heat. Many of the flavored versions contain added sweeteners and the Cafe versions contain carrageenan. Even the seemingly plain 100% pure version contains added “fruit sugar.” Watch out for their coconut waters targeting kids, which are loaded with added sugar and many different natural flavors – they are not 100% coconut water! According to their website, Vita Coco Kids is also ultra high temperature pasteurized. GOYA – This brand is heat pasteurized and contains added preservatives. Some versions are sweetened with sugar, which may be GMO. Because I vote with my dollars, I avoid any GOYA brand product as they spent over $56K to fight GMO labeling in California. C2O – They told me they heat pasteurize their water up to 120 degrees celsius once the product is in the can for as long as 5 minutes. Although, they use no additives or concentrates, the length of this high heat processing puts it squarely on my avoid list. Purity Organic – It’s made from concentrate and flash pasteurized with heat, so some of the goodness has been destroyed. It’s organic I know, but not all organic products use the best practices! How do other popular coconut waters stack up? Munkijo (organic) – This water isn’t from concentrate, contains no additives or added sugars and their young coconuts are sustainably grown and harvested. But I’m sorry to report they also use ultra high heat pasteurization to process their waters, so it’s far from the best on the market. Coco Hydro by Big Tree Farms (organic) – I really like Big Tree Farms’ mission geared towards sustainability. Their unique version of coconut water is powdered and comes in packets that travel easily. So, there is no pasteurization involved, you just add water to reconstitute it. However, the process they use to evaporate the water uses heat, so it is not considered raw and some of the nutrients may be destroyed in the process. Taste Nirvana (organic) – No concentrates or additives in this brand, and their young coconuts are sustainably grown, harvested and organic (though not labeled as such). I really like how it’s packaged in glass bottles. They are the only company that told me they use a “steam sterilization” process which is a combination of steam and pressure. Amy & Brian (organic) – Other than the fact that they flash pasteurize the water, all other aspects are good – no additives, no added sugars, no concentrates. They also told me that their young coconuts are not treated with any chemicals or pesticides. I have to admit though, I’m not a fan of the cans they are in, even if they are BPA-free. Harvest Bay (some varieties are certified organic) – They flash pasteurize their water for about 2 seconds at 120 degrees, and it’s not from concentrate. Some of their waters are now organic, and they are all non-GMO project verified. Although they add no sugars or additives to their plain version, most flavored varieties contain added sugar or natural flavors, so I’d avoid those. Whole Foods 365 – They confirmed they don’t use a concentrate, however they heat pasteurize their water which comes “from around the world depending on availability”. Their water is also packaged in cans, which I don’t like! Trader Joe’s – Their water is not from concentrate, but it is pasteurized. I have yet to hear back from them in regards to how they pasteurize their water (whether they use flash or ultra processing). They fortify their water with added vitamin C, which is a red flag that it has been heavily processed. While the best coconut water is straight from a young coconut picked from a tree, these packaged waters below are as close to the real thing as you can get. They don’t use any heat processing or concentrates, so they aren’t cooking your coconut water. Some of them use HPP to kill bacteria, and a couple of these brands serve it up completely raw and unpasteurized. Harmless Harvest (organic) – I’ve written about this brand before, and it’s no secret that they are my favorite. I had the pleasure of meeting with the founders of Harmless Harvest and I’m blown away with how open and honest they are about everything. They’ve become a success not because of marketing, but because of their good practices. In fact, they hardly spend any money on marketing at all (and bloggers are not compensated either). They source their young coconuts from small organic agroforestry farms that pay a fair wage to their workers. The coconuts are then frozen and shipped to the U.S. for packaging, after which they use HPP processing to kill bacteria and extend the shelf life to 60 days. Because it’s so minimally processed, some of the waters turn pink when the naturally occurring antioxidants or phenols are exposed to light – and you won’t find this in pasteurized coconut water. You can find this at Whole Foods and most natural food stores in the refrigerator section. Juice Press (organic) – This water is totally raw. It’s not pasteurized or processed with HPP. Their coconuts are shipped frozen to the store and then they ship it fresh to you with a 3 or 4 day shelf life. Exotic Superfoods (organic) – Another fave, this water is 100% organic and raw. It is not processed with any heat or HPP – but it’s kept frozen to preserve freshness. Liquitera (organic) – This bottled raw coconut water is also organic, without any pasteurization. It’s only available at their stores in New York. Vital Juice (organic) – It’s never heated or frozen, and it’s preserved with HPP, 100% organic and non-GMO project verified. It is currently only available at stores in Washington and Oregon with plans of expansion, and you can also order it online on Amazon. Unoco (wild coconut) – Made from wild coconuts (not from a plantation) and processed with HPP without any additives. It’s only available in California right now. Suja (organic) – Suja makes a coconut water blend, Tropicaloe, which is made from freeze-dried coconut water mixed with pineapple, apple, aloe, lime, mint and spinach juices, all preserved with HPP. This juice is exclusively sold at Whole Foods stores. Keep in mind that while I think coconut water is amazing, I don’t drink it every day, I use it as a treat or on days I am very active and sweat hard! If you know someone who loves coconut water or needs a great substitute for soda, Gatorade, Powerade or other unhealthy drinks – please share this post! We must educate as many people as possible about their choices to change the marketplace. When we change the marketplace and start spending our money on the best and safest brands, we change the world! This entry was posted in GMO News on July 16, 2014 by checkgmo. According to the Stanford Center for Sleep Sciences and Medicine, nearly 1 in 10 adults in the United States suffers from insomnia. Although most of these people suffer from short-term insomnia, many of them also suffer from chronic insomnia (i.e., difficulty falling or staying asleep for more than six months). Such sleep deprivation can significantly decrease the quality of one’s life. While stress related to work and family remains the number one cause of insomnia, eating the wrong foods — such as those rich in sugar, caffeine, gluten or polyunsaturated fat — can also contribute to insomnia. Therefore, improving one’s diet is an important first step toward ending insomnia, especially if one favors foods that are known to improve sleep. Cherries and cherry products have often been linked to improved sleep. For example, a study published in the European Journal of Nutrition in December 2012 found that volunteers who consumed a tart cherry juice concentrate for seven days demonstrated “significantly elevated” total melatonin content in their urine compared to the control group. Consequently, the study group experienced improved sleep quality and efficiency. Many people are often surprised to find that bananas can aid sleep, since they’re well-known for boosting energy. Nonetheless, bananas are also rich in magnesium, potassium and tryptophan, which are the “magic trio” of sleep boosters. Tryptophan is especially effective in this regard since it is the precursor to the two neurotransmitters, serotonin and melatonin, which modulate sleep. Although oatmeal is usually associated with breakfast, its nutritional composition — high in magnesium and potassium — also makes it a suitable evening food. Even the very nature of oatmeal (warm, soothing and soft) is indicative of sleep and calm. Moreover, oatmeal tends to be mixed with milk, which is one of the best-known relaxation drinks. This entry was posted in GMO News on July 15, 2014 by checkgmo. Incidence of GM cross-contamination in shipments of food and feedstuffs has increased sharply, according to a new report by the United Nations Food and Agriculture Organisation (FAO). The change in policy was introduced in an attempt to avoid shipments being disrupted because of minor cross-contamination. Disruption of imports has particularly serious consequences for the poultry sector, which is reliant upon imports of soya from North and South America. In 2009 several shipments of soya beans from the United States were impounded following the discovery of small traces of unauthorized GM maize. With shippers reluctant to send cargoes to Europe only to have them turned away, the issue has threatened to cause major problems for the livestock industry. The report by the United Nations agency now confirms that problems with cross-contamination have been increasing around the world. Following the first ever survey of its kind, the FAO said in its report that “an increasing number of incidents of low levels of genetically modified organisms (GMOs) are being reported in traded food and feed.” It said that the highest number of incidents involved linseed, rice, maize and papaya, and that shipments with low levels of GM crops originated mainly from the United States, Canada and China. Once detected, most shipments were destroyed or returned to their place or origin, it said. The FAO survey was conducted across a total of 75 countries and concentrated on questions about low levels of GM crops in international food and animal feed trade. Respondents reported 198 such incidents between 2002 and 2012, with a steep acceleration after 2009. The agency said in its report that there was no international agreement defining or quantifying ‘low levels’ of contamination and the consequence was that interpretations varied from country to country. In some countries, it said, it was interpreted as any level at which detection was possible – meaning very low or trace levels – whilst in other countries case-by-case decisions were taken about what level was acceptable. “These variable standards are why some importing countries are legally obligated to reject certain shipments that were perfectly legal in the exporting country,” the FAO said in the report. It said that 37 out of the 75 countries taking part in the survey said they had little to no capacity to detect GMOs. They did not have the laboratories, technicians and equipment necessary to carry out such work. The agency said that many countries had asked the FAO to help improve their capacity for detection. “In the survey, countries also asked us to help them assess whether GM crops are safe to eat and we would like to see countries sharing any scientific findings they have on the subject,” said Renata Clarke. She said that a “platform” had been established for that purpose. The survey results were due to be discussed at an FAO-led technical consultation in Rome towards the end of March, when the extent and pattern of trade disruptions caused by the contaminated shipments were to be reviewed. It was also intended that trade issues related to low levels of GM crops would also be discussed, although the FAO said that those at the meeting would not debate the pros and cons of GM crops. This entry was posted in GMO News on April 7, 2014 by checkgmo. The widely known chemical ingredient in Monsanto’s Roundup “glyphosate” might be banned in Brazil here soon. Today Show talks about GMO and gives advice to consumers. This entry was posted in GMO News on March 12, 2014 by checkgmo. NEWS UPDATE: Check GMO is now officially providing GMO Lab Testing and Verification. 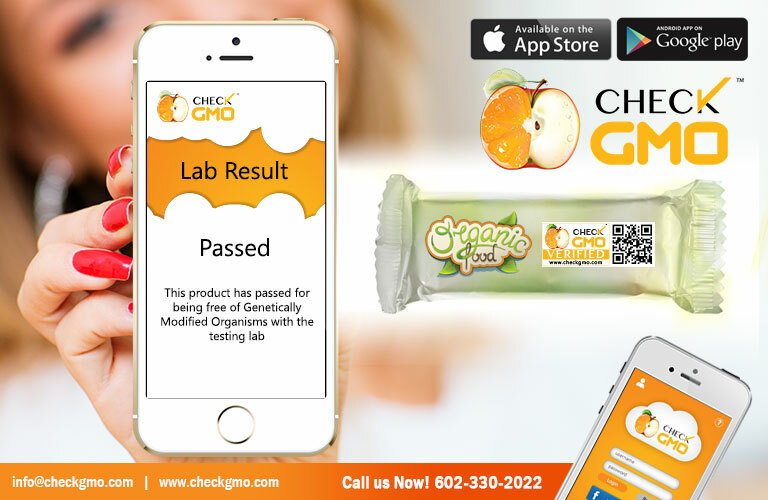 You may contact us at info@checkgmo.com for more information on submitting your item to the laboratory to get tested and Check GMO Verified. After Verified that your food item doesn’t contain any GMO, we will create a unique Check GMO Verified Label with you very own QR Code that will allow users to scan for the GMO Free test results. 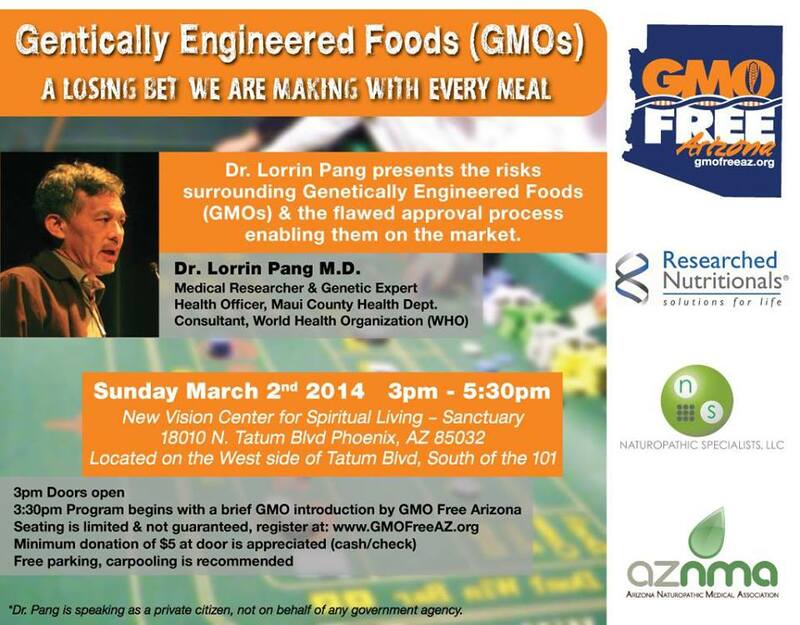 This entry was posted in GMO News on March 1, 2014 by checkgmo. 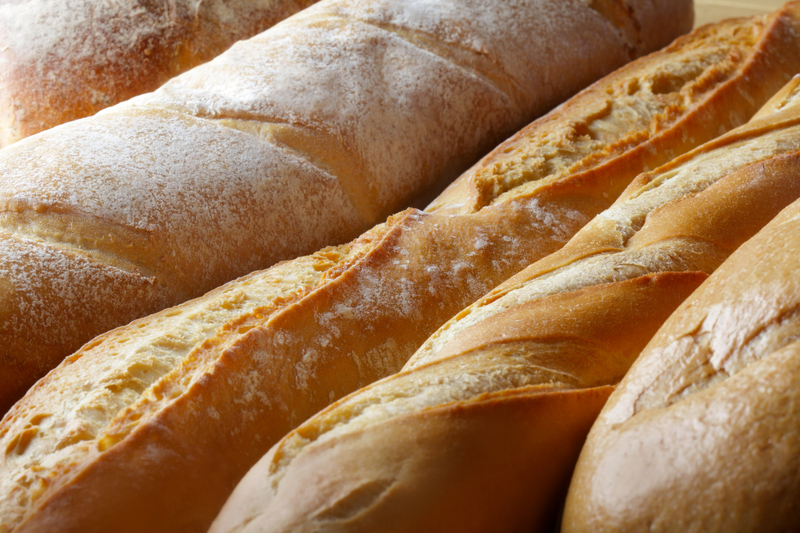 Thought Subway was the only company with the chemical “azodicarbonamide” in their bread. Here is an excellent article that talks about other companies like Subway using the Yoga Mat chemical that Food Babe recently exposed. This entry was posted in GMO News on February 20, 2014 by checkgmo. 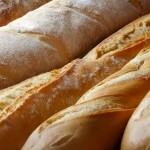 AZFamily.com’s Kaley O’Kelley interviewed Dr. Oz on the Good Morning show asking him his thoughts on Check GMO. This entry was posted in GMO News on February 11, 2014 by checkgmo. 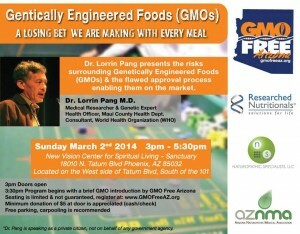 This Dr. Oz special was recently done on GMO / Genetically Modified Organisms. As you can clearly see, the awareness is becoming more common. This entry was posted in GMO News on January 31, 2014 by checkgmo.